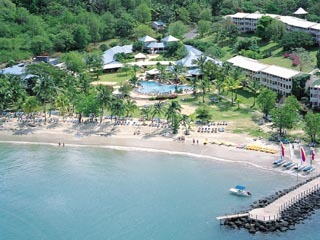 2 Hotels found in Saint Lucia! Open All Year... Escape from reality at the new four-star Almond Morgan Bay Beach Resort. 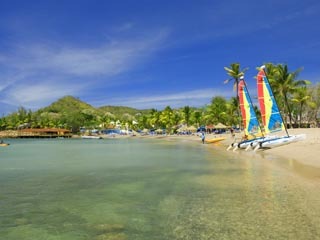 Combining an elegant, but informal setting to offer singles, couples and families a high-quality all-inclusive Caribbean vacation in St. Lucia. Open All Year... Discover Almond Smugglers Cove, a spacious, village-style resort located on a 60-acre estate with lush tropical gardens on a secluded bay boasting its own stretch of sandy beach.